Enchanted Forest Sencha Green Tea. This special Green Tea blend is a real spicy surprise to the taste buds. A combination of Green Sencha and Green Mate give this Tea a soft mellow note. We decorate with flowers and blossoms to create a striking and aromatic infusion that bring back memories of Black Forest Gateau. A new and very unusual creation! 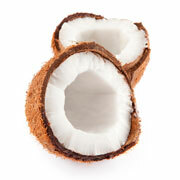 Ingredients: Green Tea Green Mate Coconut shreds Flavouring Rose petals Cornflower blossoms. Brewing instructions: Brew with water at 75 – 80 degrees and infuse for 2 – 3 minutes.